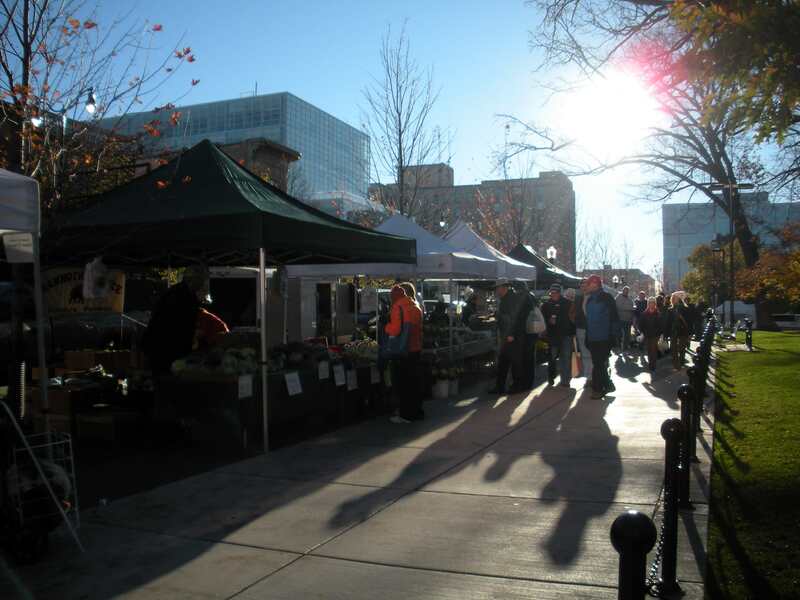 Today marked the last outdoor farmers market of the year for Madison—and the end of a weekend ritual. I bought potatoes, cauliflower, bread, and a small squash. There was a bit of winter in the air today, but mostly it’s all still glowing leaves and short, sunny days that look warmer than they feel. No snow yet. . .
yeah, it’s pretty gorgeous out. i actually had to take my gloves off during my run today.